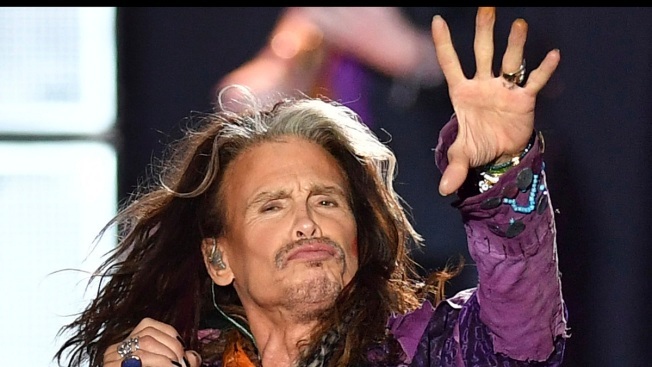 If you think you just saw your aunt on Twitter looking fabulous, take a second look, because it might just be Aerosmith's Steven Tyler. For Halloween, the singer for the Boston band chose a very specific costume this year. "IM YOUR AUNT WHO LOVES A DOLLAR GENERAL DEAL AND MISSES A FOOD FILENE’S RUN EVERY DAY OF THE WEEK," the musician Tweeted. "SHOW ME YOUR COSTUMES!!! AUNTY HAS SPOKEN!!! BOO!" Complete with a back-combed ponytail, sunglasses that are fairly popular among the auntie set and a white vest draping over a leopard print blouse, Tyler could very well pass as your long lost aunt.